When booted, the Graphical User Interface (GUI) is garbled or of low resolution. 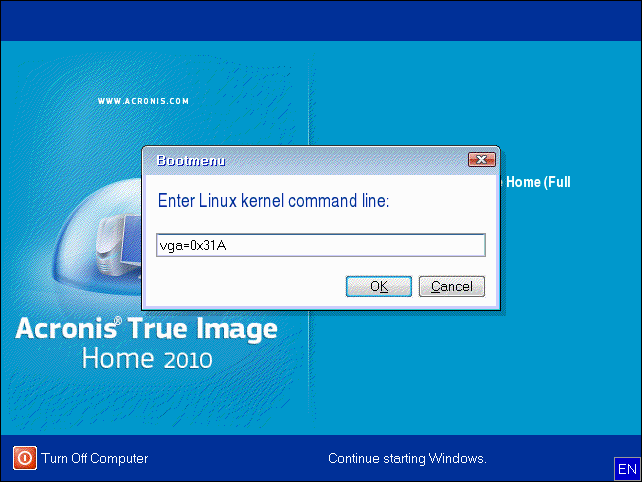 Acronis Bootable Media of Acronis True Image Home failed to correctly detect the video card. After you boot into the '#' prompt please issue the /bin/product command to start the GUI. 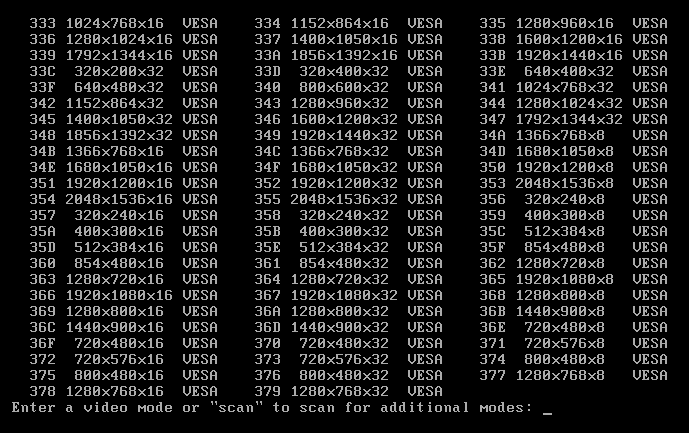 Once you know the video mode that suits best, next time you boot you can enter the mode's ID instead of vga=ask. This will boot straight into the selected mode. As workaround, you can use a WinPE media.